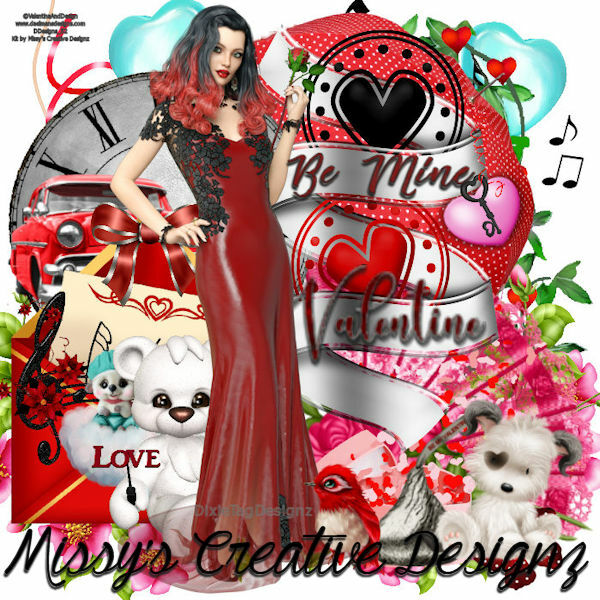 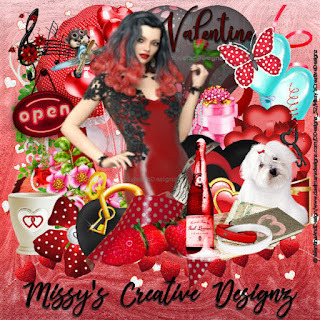 "Be Mine" By Missy's Creative Designz is a gorgeous and Beautiful Valentines Day Set Exclusive to Dalemans Designs Store. 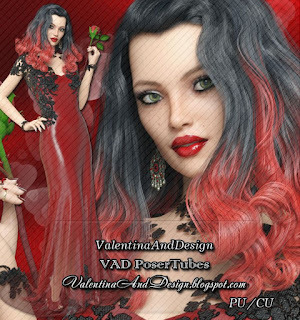 his Kit was Matched With the Gorgeous Tube "Jan_2" By ©Valentina Designs. 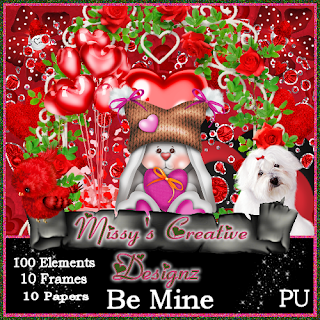 This Kit Contains 100 Elements, 10 Papers, 10 Frames. 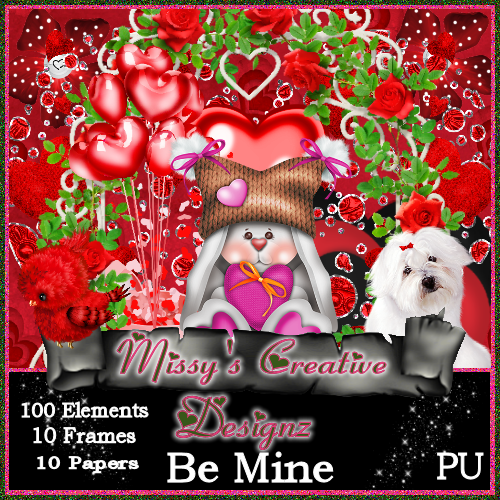 PU Only. 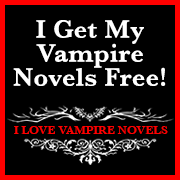 Do Not Share. You can get Be Mine scrap kit HERE and the Jan_2 tube HERE.